Saola is listed on CITES Appendix I and both of its range countries are CITES signatories. It is protected by national law in Vietnam (Decree 48; IB) and in Laos (Ministry of Agriculture and Forestry Regulation 360). Two editions of a conservation action plan for the species in Laos were written (Robichaud 1997, 1999), and one for Vietnam (Anonymous 2006), but none of these were officially endorsed or adopted by the respective central governments. In 2010, the IUCN SSC Asian Wild (AWCSG) Specialist Group published a Regional conservation strategy for wild cattle and buffaloes in South-east Asia, which included Saola (IUCN-SSC Asian Wild Cattle Specialist Group 2010). The AWCSG’s Saola Working Group subsequently completed and continues to update an evaluation of Saola conservation priorities (Saola Working Group 2012). National protected areas: Nakai-Nam Theun, Khou Xe Nong Ma and Xe Sap. Other conservation areas: Phou Sithone Endangered Species Conservation Area (Bolikhamxay province). However, only Nakai-Nam Theun, Phou Sithone and Xe Sap have active, well-funded management. Saola probably occur in several forest blocks outside protected areas, especially in Bolikhamsay Province (potentially some of the largest populations remaining), and perhaps also in Khammouan, and to the south of Xe Sap NPA in Xekong Province. The majority of the Saola’s range in Vietnam is now included in protected areas. 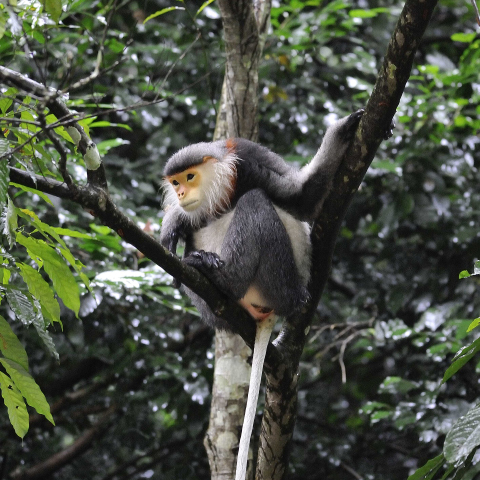 However, unprotected forests along the international border in Nghe An and Ha Tinh Provinces are possibly still important sites for the species, especially for successful long-term conservation of the species. Nakai-Nam Theun National Protected Area, Laos and to a lesser degree the adjacent forests in Vietnam. Transborder area of Khammouan and Savanakhet Provinces, Laos and Quang Binh and Quang Tri Provinces, Vietnam. Southern Thua-Thien Hue and northern Quang Nam Provinces, Vietnam (and adjacent areas of Laos). The highest, urgent priority for both countries is more effective patrolling against snaring and other types of hunting within areas that have management structures (Saola Working Group 2009). Another priority is to conduct a range wide assessment of Saola status and conservation opportunities, to best direct the limited resources effectively. This includes assessing unprotected sites which might offer significant potential for Saola conservation. 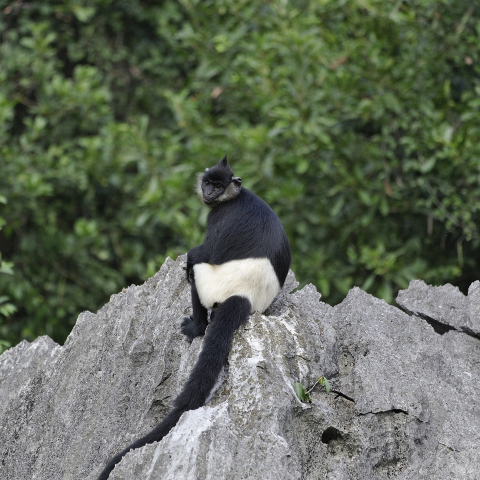 The recent establishment of three new nature reserves specifically to protect Saola (Hue and Quang Nam Saola Nature Reserves in Vietnam, and Phou Sithone Endangered Species Conservation Area in Laos) is encouraging. Until recently, there had been no demonstration of effective anti-hunting measures anywhere in the Saola’s range. In the mid-1990s and early 2000s, the government of Laos generally failed to support, and in some cases actively blocked, efforts to initiate Saola conservation activities in the country. The reasons probably related to sensitivities over hydro-power development and logging. This has abated somewhat in recent years, and efforts to conserve Saola are now more active in Laos (and in Vietnam) than at any time since the species’ scientific discovery in 1992. Some of the advances have been spurred by the positive development of the establishment (in 2006) and commencement of focused activities (in 2009) of a Saola Working Group (SWG) within the IUCN SSC Asian Wild Cattle Specialist Group. The SWG has helped bring national and international attention to and support for Saola conservation; e.g. the European Association of Zoos and Aquaria made Saola the logo of its recent two-year (2012-2013), Europe-wide campaign to raise awareness and funds for the conservation of Southeast Asian wildlife. In the several years since 2009, more funds have flowed to Saola conservation activities than in all other years following the species’ discovery in 1992. 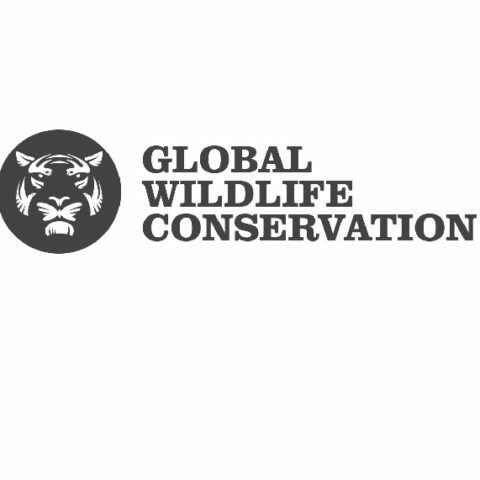 With the encouragement and assistance of the SWG, WWF, and the Wildlife Conservation Society (WCS), management authorities of the three new Saola protected areas, plus Nakai-Nam Theun and Xe Sap National Protected Areas in Laos, have made significant improvements in the reduction of threats, particularly through the collection of tens of thousands of illegal wire snares. This model of international conservation organizations advising and/or funding, recruiting and managing teams of “forest guards” hired from local communities has vastly improved protection of Saola in these areas. But the teams have not yet succeeded in reducing snaring levels to near zero, and so given Saola’s small population, snaring even in these areas remains a significant threat. In most other protected areas in the Saola’s range (and areas of the Saola’s range range outside of protected areas), protection activities either do not exist or are woefully inadequate. In recognition of the perilous wild status of Saola and slow pace of improved in situ protection, at its 2013 biennial meeting the SWG endorsed moving forward as quickly as possible to establish a captive ‘insurance’ population of Saola, in Laos or Vietnam with international best-practice management and technical support (Saola Working Group 2013). EAZA quickly responded by establishing an Intensive Management of Saola Advisory Group, whose role is to assist the the SWG and the range countries to design, fund, establish and staff a successful Saola captive management centre. In summary, intense hunting and a multitude of exacerbating pressures continue to push Saola into a decline, even while efforts to ameliorate these and conserve Saola are increasing. It is not yet clear if the increased attention to conservation of Saola has come in time and has the capacity to save the species from extinction. This species occurs only in the Annamite Mountains region of Laos and Vietnam. Most records are from south of the Song [River] Ca in Vietnam, south to at least Quang Nam, but a population to the north of the Ca River, in Phu Houng Nature Reserve, has also been found (Vu Van Dung et al. 1994, Kemp et al. 1997). In Vietnam, evidence of occurrence comes from Nghe An, Ha Tinh, Quang Binh, Quang Tri, Thua-Thien Hue and Quang Nam Provinces. In Laos there is evidence of occurrence in Xieng Khouang, Bolikhamxay, Khammouan, Savannakhet and Xekong Provinces. Records come from as far west as central Bolikhamxay Province, but occurrence in Laos away from the main spine of the Annamite Mountains was likely always patchy because of generally unfavourable climatic conditions. The precise northern and southern limits to the species range in Laos, as in Vietnam, are still uncertain. Because of regional climatic factors, the majority of suitable habitat is, or was, probably more abundant in Vietnam than in Laos, but Vietnam's much higher human population density has severely reduced both habitat and Saola numbers in the habitat that remains. It is suspected to occur in less than 10 forest blocks in the two countries, with an extent of occurrence (EOO) probably totalling less than 10,000 km², and an area of occupancy (AOO) thought to be considerable smaller. It is probably absent from small forest fragments in the order of 100 km² or less, and is likely to be largely restricted to larger forest blocks with relatively low hunting pressure. The area of forest remaining in the presumed historical range of the Saola is somewhere between 5,000 to 15,000 km², but much of this range is probably no longer inhabited by the species. The number of Saola subpopulations—defined as those in non-contiguous blocks of habitat—probably numbers 6 to 15, and none likely holds more than 50 animals. Consequently, total Saola population is undoubtedly less than 750, and likely much less. No formal surveys have been undertaken to estimate Saola numbers accurately (Tham Ngoc Diep et al. 2004). Accurate population estimates would be exceedingly difficult to obtain even if the species were not rare, due to its reported secretive behaviour, the difficulty of making direct observations in dense, rugged and remote forest habitat, and the fact that signs of the species cannot at present be unequivocally distinguished from other ungulates of similar size in its range. Furthermore, it has been difficult for biologists to gain government permission to enter and survey parts of the species range in Laos. Nonetheless, based in part on information provided by local people in its range, and partly on low returns from camera-trapping efforts, all populations are small, localised and probably significantly isolated. To date, scientists have recorded Saolas in the wild on only five occasions, from camera-trap photos. In addition, some freshly killed and newly captured animals have been observed. The first photograph of a Saola in the wild was taken in 1998 by a camera trap set near a mineral spring in Pu Mat National Park, Vietnam (Whitfield 1998). Several months later the species was twice camera-trapped in Laos, in Bolikhamxay Province (Robichaud 1999). Most recently, in September 2013, an adult Saola was photographed by a camera trap in the Hue-Quang Nam landscape of Vietnam (Hance 2013). The paucity of data on Saola is indicative of the species’ critically small population. Although populations of other ungulates in the Saola's range are also severely depressed, they are encountered far more commonly by local inhabitants, researchers and camera-traps than are Saolas. Sightings of these ungulates by local people occur at a frequency often two orders of magnitude higher than for the Saola, while detection rates by camera-traps are closer to three magnitudes higher for commoner species such as Red Muntjac (Muntiacus muntjak). Documented villager sightings of Saolas in the past decade don't number in the thousands or hundreds, but in the tens. In contrast, sightings by villagers of muntjacs, pigs and even Sambar (Cervus unicolor) and serows (Capricornis) are so common that researchers generally don't quantify them. Although the low population estimates for Saola are only informed guesses, the extremely low detection rate for the species (ca three orders of magnitude lower than that of species like Red Muntjac) is akin (or worse) in most locations to that of better known species such as Gaur (Bos gaurus), Asian Elephant (Elephas maximus) and Tiger (Panthera tigris). The populations of these species in the region are estimated, based on better evidence, to be of a similar order of magnitude as estimated for Saola, thus lending confidence in the Saola estimates. Speculative population estimates of 70 to 700 in Laos and several hundred in Vietnam were given in the IUCN Antelope Action Plan (Mallon and Eames 2001, Timmins 2001). Subsequent surveys in Laos indicated that the population there was likely near the country's low estimate, i.e., fewer than 100 remaining (Robichaud and Timmins 2004). Similar estimates of low hundreds at most were made in the 1990s by other researchers, based on the known range and reports from hunters (Vu Van Dung et al. 1993, Schaller and Rabinowitz 1995). More optimistic estimates have included analysis of hunter interviews conducted in In Pu Mat National Park, Vietnam in 1998 and 1999, which suggested that about 18 Saolas survived in the Khe Bong area in the southeast of the reserve and about eight in the Khe Chat and Khe Choang areas in the centre (Pu Mat constitutes ca 1/10 or less of the species' potential current range). In 2003, research suggested that these numbers had been reduced by about 50% over the intervening five years (Weir and Dinh Van Cuong 2004). The former 2001 estimates may have been realistic at the time, but in light of a continuing high rate of decline, the current population is likely much nearer the lower figure (i.e., fewer than 250 mature individuals). The situation has deteriorated considerably since then and numbers are probably declining at a high rate due to intensive non-specific hunting of most larger species of wildlife throughout the species' range (spurred by commercial demand for bushmeat and traditional Asian medicine). This increase is unwittingly facilitated by an intense program of road and track construction on both sides of the border in the species’ range (which also contributes to habitat loss and degradation). The surviving population is suspected to be highly dispersed and its fragmentation worsening. Saola numbers may in fact be so low and dispersed that no viable populations remain. There are no Saolas known in captivity. Natural Saola densities have probably always been relatively low, but it is clear that Saola populations must also be unnaturally depressed, as populations of all wild animals larger than 20 kg in its range have been significantly reduced by human exploitation. Field survey encounter rates with muntjacs and pigs in the Saola's range are remarkably low compared to some other parts of tropical Asia (there are very few published figures of encounter rates from the area, in part because it is so difficult to directly contact most species), and wild cattle, elephants, and Tigers are all nearing extinction in its range (e.g., Duckworth and Hedges 1998). Even typically resilient species such as Sambar are scarce. The declines are corroborated by local villagers across the area, who consistently report major reductions from former abundances, in the past few decades. The greatest threat to Saola is hunting. While wildlife in the Saola's range are most threatened mainly by commercial hunting for the bushmeat and traditional medicine trades, specific demand for Saola is almost non-existent, because the species is unknown in the traditional Chinese pharmacopoeia (nor is its meat considered to be particularly tastier than muntjacs or Sambar). Instead, the animal is snared incidentally in the intense, general pursuit primarily of other species valued in the region’s wildlife trade. The intensity of hunting in the Saola's range is hard to adequately describe, but some figures hint at the enormity of the problem. The human population of Vietnam is more than 90 million, that of China more than a billion. Together, they comprise an enormous market for wildlife products. For example, tens of millions of wild turtles are imported, legally and illegally, into China annually (van Dijk et al. 2000 and papers therein). Mammals valued in traditional Asian medicine, such as bears, Tigers and Sambar, are all hunted intensively in the Saola's range with snares, guns and dogs - all methods which are also effective at killing Saolas. 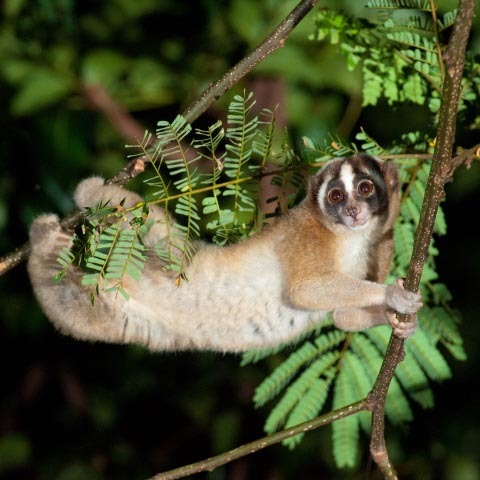 Although hunting for the bushmeat trade may be somewhat more localized than trade in medicinal animals (because of logistical issues of transportation before meat can spoil), its intensity is similar if not higher, because animals such as muntjacs and civets are relatively resilient to hunting and remain widespread. Probably close to ten million Vietnamese, i.e., ten million people with the propensity to eat wildlife, live within 100 km of forest inhabited by Saola. It is unlikely that any Saolas occur more than 35 km from a village. The bushmeat trade has little likelihood of abating as long as there are pigs, muntjacs, and civets to be hunted, but Saola will become extinct long before these more common species are hunted out. In Vietnam, informal interviews with hunters in Pu Huong Nature Reserve revealed that 30 Saola were killed there between 1995 and 2003 (Hoang Xuan Quang and Cao Tien Trung 2004). In some local villages in Vietnam, hunters used to kill three individuals per year 10 years ago, but now rarely catch any (Do Tuoc and Alexei Abramov pers. comm. 2006). Additionally, thousands of collectors of turtles, pangolins, rosewood, agarwood and other forest products comb every square kilometre of Saola range on a yearly basis, opportunistically hunting and setting snares for subsistence bushmeat and additional opportunistic income. Although specific trade demand for Saola has been low, it could be increasing as the species grows rarer, and disposable incomes in the region expand. With Saola populations now so low, local hunting for subsistence also poses a risk. Saola may be particularly susceptible to being hunted with dogs (Robichaud 1998). The pressure from proximal human settlements is so intense that there are no longer core areas in the Saola's range not regularly reached by hunters. It is likely that in 80% or more of forest within the Saola’s range, every year snares capable of catching Saolas are are set in every square kilometre. In some areas (possibly approaching 50% of potential Saola range) intensity probably reaches many thousands of snare-days per square kilometre per year. Snaring is less intensive in Laos, but there the majority of Saola range lies along the Vietnam border, and is heavily hunted by transborder Vietnamese poachers, and/or coincides with the distribution of the ethnic Hmong in Laos, who avidly and effectively hunt a wide range of wildlife, including Saola. These forests are nearly as devoid of large mammals as forests in Vietnam. Habitat destruction is also a threat to the species. Forests in the Saola’s range are destroyed or degraded for small-scale agriculture, commercial agriculture, timber extraction, roads, mining and hydro-power development. Although, there is presently more Saola habitat than there are Saolas, the human population growth rate in the Saola's range (both from in-migration and births) is high, which will intensify habitat lost in the coming years. Presumably, the generation time of Saola is greater than three years, and reproductive output is lower than that of muntjacs, serows or Sambar, putting Saola at a conservation disadvantage. Additionally, pigs, serows, muntjacs and Sambar retain significant population reservoirs in areas of lower hunting pressure, such as difficult-to-reach areas of secondary forest, higher altitude forests and/or extensive blocks of monsoonal forest in Laos, but Saola does not. The apparent absence of Saola from extensive areas of secondary forest is either an indication of a greatly accelerated rate of decline compared with other species, or an ecological intolerance, neither of which bodes well for the species. 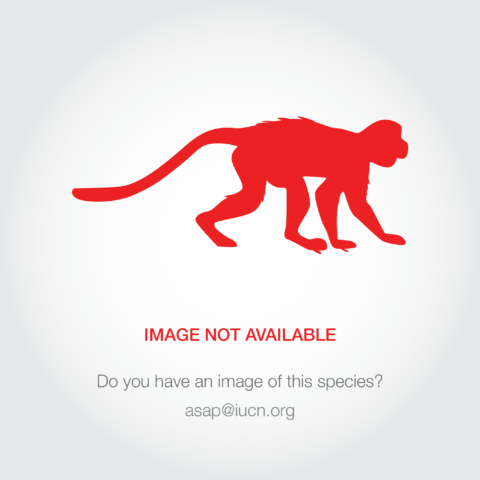 Economic development and expanding wealth in the region are increasing the demand for wildlife medicines and bushmeat. Development projects in the region commonly cite poverty as a principal cause of biodiversity loss, but the main threat in the Saola's range, at least for the mid-term, is increasing wealth in its range countries and in China. Wealth, not poverty, is the principal driver of the region’s wildlife trade. The recent construction through the Annamite Mountains in Vietnam of the Ho Chi Minh Road, parallel to and with branches to the Lao border, affects Saola subpopulations by forest fragmentation and increased human access for hunting and the rapid transportation of wildlife to urban markets. It has also led to increased forest clearance in several critical areas, especially the Hue Saola Nature Reserve and Quang Nam Saola Reserve, as well as areas in Quang Binh and Quang Tri Provinces. The transboundary feeder roads from the Ho Chi Minh Road into Laos are likely negatively affecting Saola in all provinces where the species occurs in Laos. Saolas have proved difficult (thus far impossible) to maintain in captivity (Robichaud 1998), although no efforts involving appropriate expertise and care have yet been made (Robichaud and Long in press). Approximately twenty Saolas, at least, have been captured in Vietnam and Laos since the species was described in 1993. All died soon afterwards, with exception of two released back into the wild shortly after their capture (Stone 2006). Protected area management has been largely ineffective in the Saola's range. In a few areas the situation is beginning to change, but to-date protected areas have offered little or no refuge for the species. Most protected in the Saola’s range have proved particularly impotent in the control of poaching. Some have done better at safeguarding areas from economic development, but protected areas in the region are still commonly sites of hydro-power projects, road construction, and mining. Lastly there are the threats arising intrinsically from small population size, including, but certainly not limited to, the possibility that individual Saolas may now be largely isolated from one another for breeding (Saola Working Group 2009, Robichaud and Long 2014). In summary, intense hunting and a multitude of exacerbating pressures on Saola are increasing, and evidence indicates that the species, which is naturally uncommon and localized, is in a major decline. Without concerted action and change, the trend is likely to result in the extinction of Saola in the foreseeable future.